Offering faster black-and-white print speeds, shorter warm-up times, more standard system features, improved finishers and greater energy efficiency than the multifunction systems they replace, Canon U.S.A, has introduced the imageRUNNER ADVANCE C9200 PRO Series for central reprographic departments (CRD) and light production environments and the imageRUNNER ADVANCE C7200 Series for high-volume office use. 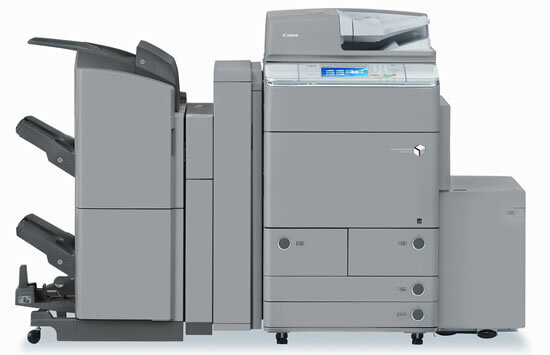 The imageRUNNER ADVANCE C9280 PRO features output speeds of up to 80 pages-per-minute in black-and-white and up to 70 ppm in color, and the imageRUNNER ADVANCE C9270 PRO provides up to 70 ppm in black-and-white and up to 65 ppm in color.Both models offer the most advanced finishing and media support and highest levels of image quality. The imageRUNNER ADVANCE C7270 and C7260 feature speeds of up to 70 ppm and up to 60 ppm in black-and-white and 60 ppm and up to 55 ppm in color, respectively, and will suit the needs of high-volume color office environments. 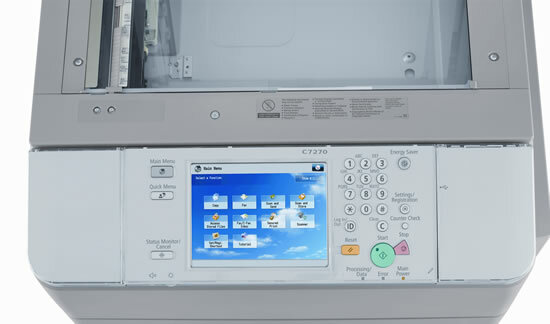 These models can serve as an upgrade path for mid-volume MFPs with faster speeds, more robust paper handling and finishing, and more flexible media support. The new models are built on Canon’s next-generation imageRUNNER ADVANCE platform, designed to be the core of business communications where imaging technology, cloud connectivity, and mobile solutions converge. The imageRUNNER ADVANCE C9280 PRO/C9270 PRO and imageRUNNER ADVANCE C7270/C7260 models are available through Canon authorized dealers for $52,500, $42,000, $36,750 and $29,400 respectively.